At present, the Automotive Industry is completely in the realm of digital technology, and the credit owes to Mobile App Development. Other advancements in the automotive sector - Internet of Things, Location-based suggestions, and more, however, the base to propel all these technologies is a mobile application. In this blog, let's understand, how the automotive industry is harnessing the power of mobile apps. Many car manufacturers launch mobile apps on the application store, offering pre-booking and test driving options. Whereas, other companies build exclusive apps for the specific purposes that allow the customer to directly talk to the dealers to get the required information and purchase options. For instance; mobile apps like Cars India, CarTrade and other offers options to purchase new or used cars. Further, when sales volume is expected to be high, automakers usually route for mobile apps for pre-booking. 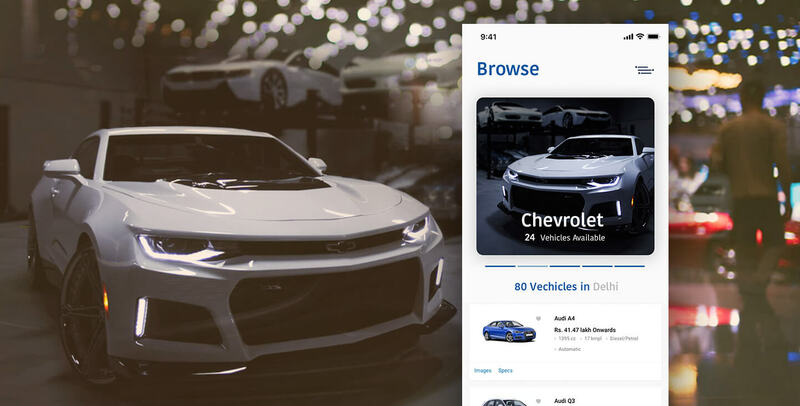 Whether it's about enhancing branding to a good user experience - the Auto-mobile app is doing great from automotive business, offering multiple benefits for both customers and businesses. Here are several reasons why automotive businesses are choosing the apps option actively. At present, the Automotive Business has grown at an unexpected rate. The automobile apps are need of the hour for this industry to impart digital rhythm and provide end-to-end solutions. This is right from the acceptance of an idea to the delivery and after-sales services. This reason has made automotive companies tune in with the new ways of marketing and boost with applications like Auto-mobile app, car dashboard apps, driving dashboard apps and many more. These apps help to remain competitive in the ever-changing automotive market and also utilize this new automotive app technology to improve the ROI. If you are a car dealer, you must know that customers like to visit and explore showrooms and workshops to look for the perfect choice that stand up their expectation. However, a recent study by Autotrader UK reveals that 60% mobile users prefer a smartphone to research and look for cars. Thus, reaching these customers with a mobile app for your automotive business is hassle-free and easy. The customized auto-mobile app for iPhone and the Android apps can also help reach two different target groups for the car dealership, helping to grow the respective customer base. For instance; with the driving dashboard apps and car dashboard apps, the user can trace how people drive cars and thus, find out advanced features to be focused on for the latest version of the product. The best car apps apply this data to assist the customers to have a better experience - focusing on their shortcomings. Further, the Auto mobile app uses the data to send follow-up messages to the customers to make follow up with the client's visiting showrooms. Thus, these apps are a great medium to inform people about the announcement of new car models and technology improvements in their products. People can also invest in an after sales app - this will help in taking care of the customer service part like warranty inspections, and part replacement costs. This will enhance the user experience of customers, and help boost your branding. The best Android car apps have a feature where it assigns their APIs to developers. This, eventually address it a way for revenue. Apart from this, it further allows customers to use a range of features like on-the-spot customized support based on their previous purchases - possible with custom automotive applications only. The Automotive Mobile Apps are booming these days, therefore you are advised to get updated with the advanced trend to gain a competitive edge - as the introduction of Auto mobile app for your automotive business - help in understanding customers better and at the same time ensure a much better customers experience. Powered by NRMA- The quiz- and game-based engaging learning mobile platform best app for all age groups - developed by team Root Info Solutions. The app came to be a great tool - resulting in an increase in the number of skilled drivers, and a sharp decline in the number of road casualties.